A difficult and complicated film to watch with a lead character that is as unlikeable as he is undeniably relatable to everybody in some aspect. Denzel Washington is a force to reckon with, bringing this complicated man of August Wilson's into being. However, just give the damn Oscar to Viola Davis already. *That* moment haunts you! One of the most powerful scene captured on screen. Washington directed the film and it was possibly its weakest portion. There was a constant conundrum in how he presented the story. At times, the film felt like a play and at times like a film trying to be a play. The story definitely fits the landscape and ridgity of a stage, but Wilson's screenplay and Washington's direction lacked the energy and scope offered by celluloid. Although there was quite a fair bit of backlash with Davis for running for the Best Supporting Actress, the way the film presented it, Davis' character was there in support of Washington's even if she was the only (lead) actress in the film. This was not her film and her character only served to highlight the flaws, depth and complexity of Washington's. Washington's character is a challenge for any actor and Washington really rose to the occasion. In comparison with Casey Affleck in "Manchester by the Sea", Washington - like Natalie Portman and Emma Stone - definitely outclassed Affleck. But Affleck embodied the essence of his character from the stooped shoulders and constant brood and became part of the story. 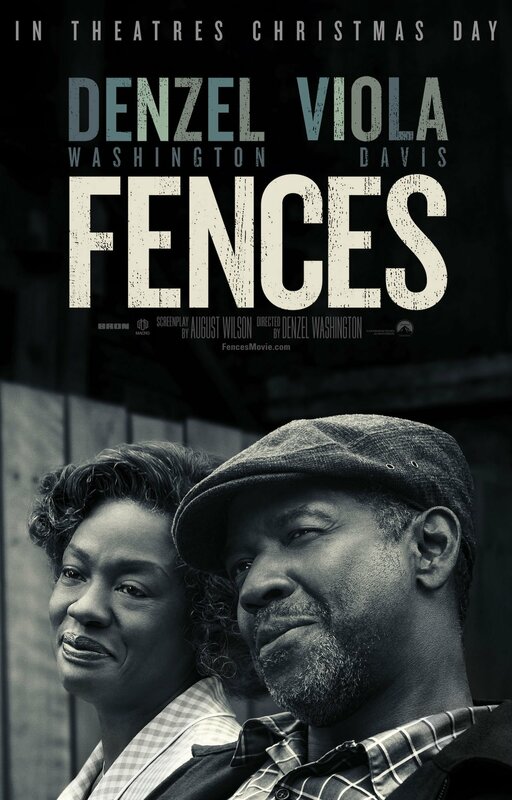 "Fences" and Washington, despite their individual brilliance, remained separate and that would be the main thing that would count against him come Oscar night. Can they look at the acting critically and ignore the package/magic surrounding it?